• Please read the entire instruction manual before proceeding. • Ensure all components listed are present. 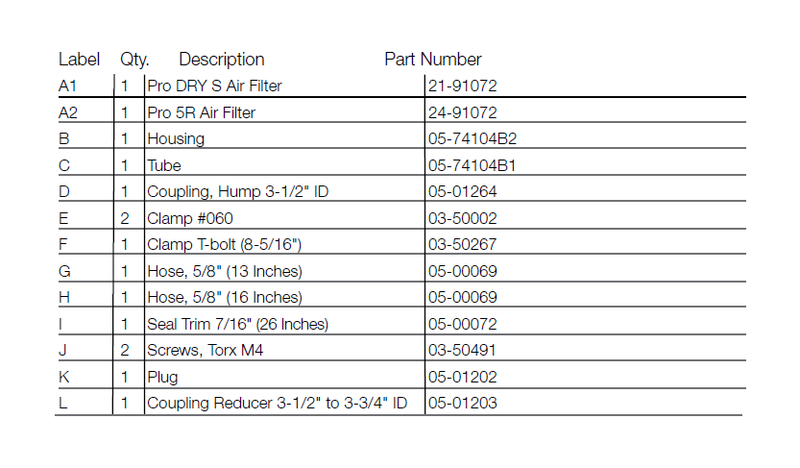 • If you are missing any of the components, call customer support at 951-493-7100. • Ensure you have all necessary tools before proceeding. 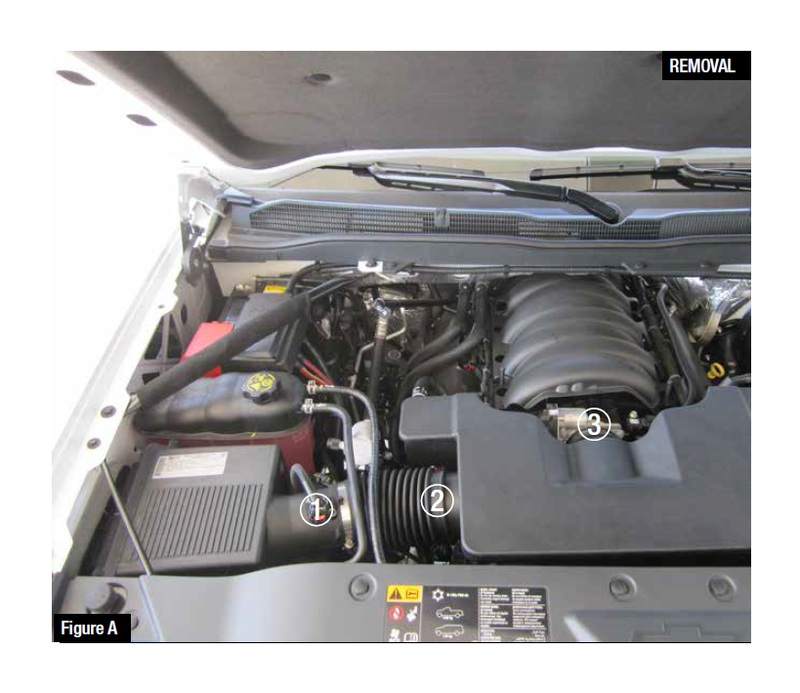 • Do not attempt to work on your vehicle when the engine is hot. • Disconnect the negative battery terminal before proceeding. • Retain factory parts for future use. 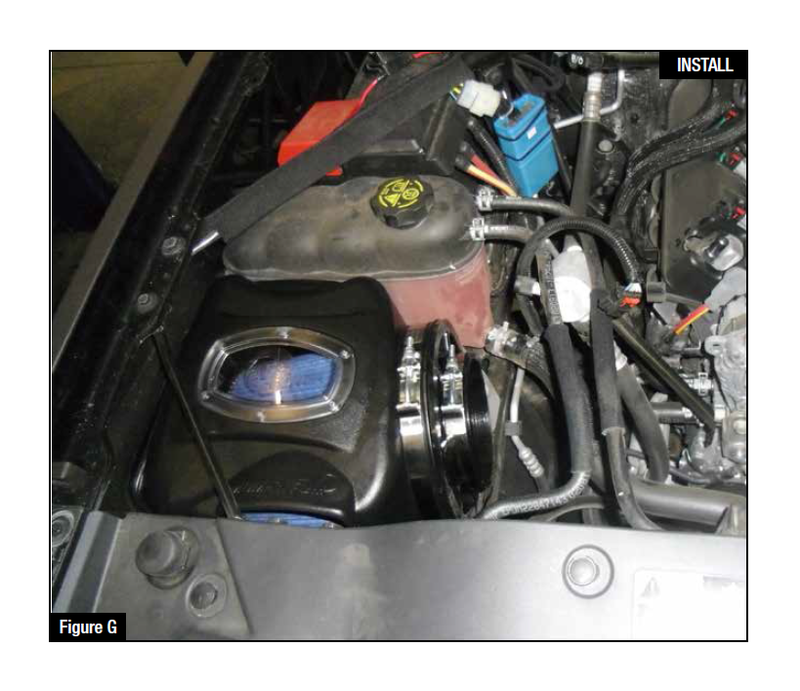 Step 1: Disconnect the MAF sensor plug from stock intake tube 1 . 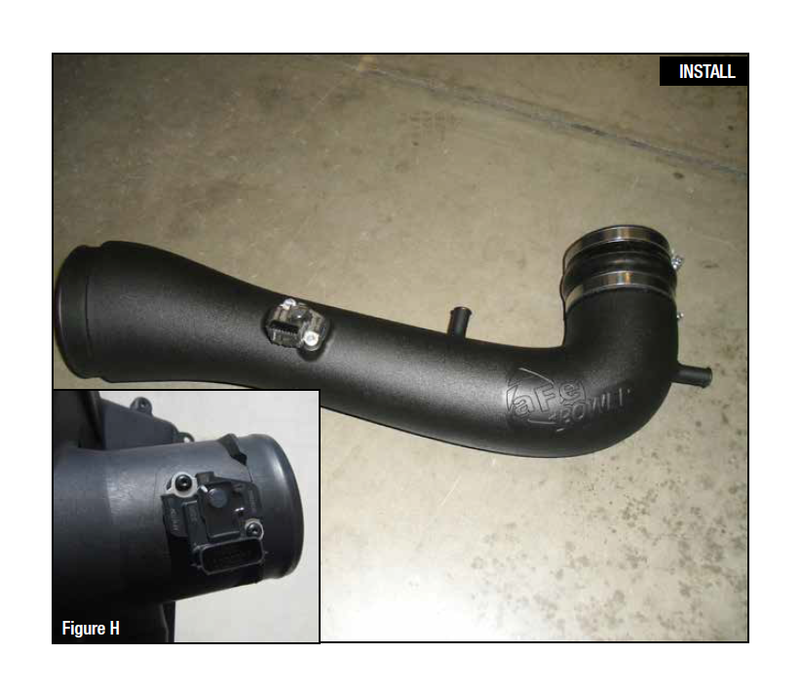 Step 2: Loosen clamp from OE air box housing and OE Intake tube 2 . Step 3: Loosen clamp from throttle body 3 . 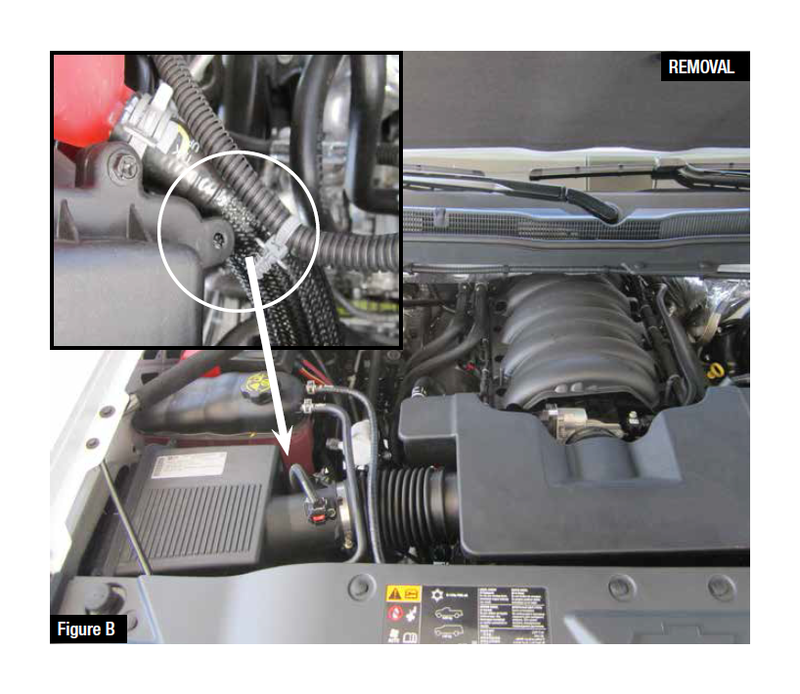 Step 4: Disconnect the MAF sensor harness clip from the OE air box. Step 5: Disconnect the OE crank case breathers from the valve covers (as shown) on both sides of the engine. Step 6: Carefully remove the entire intake tube plenum with the crank case breather plugs attached. Step 7: Remove the factory air box out of the vehicle 4 . Do not tighten at this time. 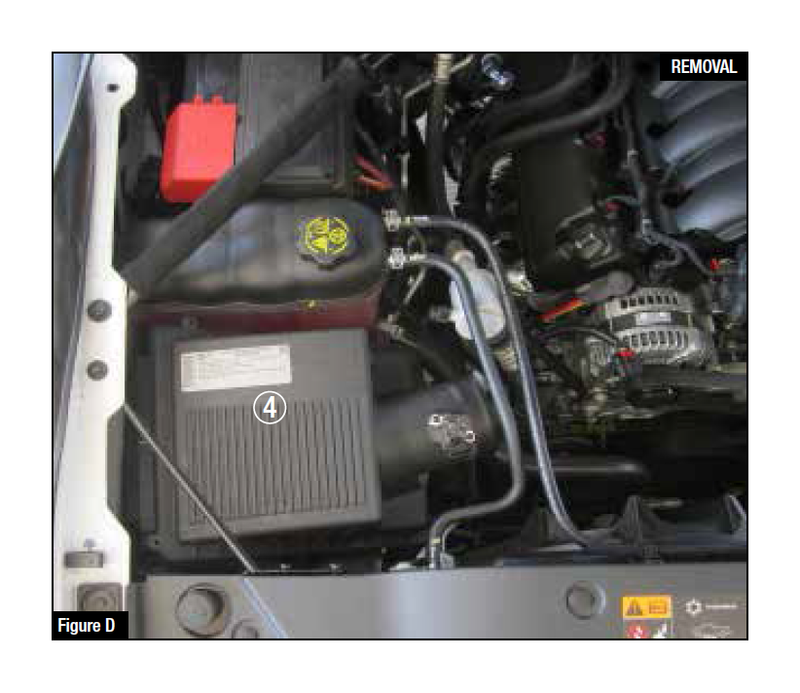 Note: Use furnished plug 6 to close the auxiliary air inlet if you want to completely seal the airbox. Note: Actual aFe Housing Different from picture shown. Step 9: Install the trim seal on the edge of the aFe airbox 7 . 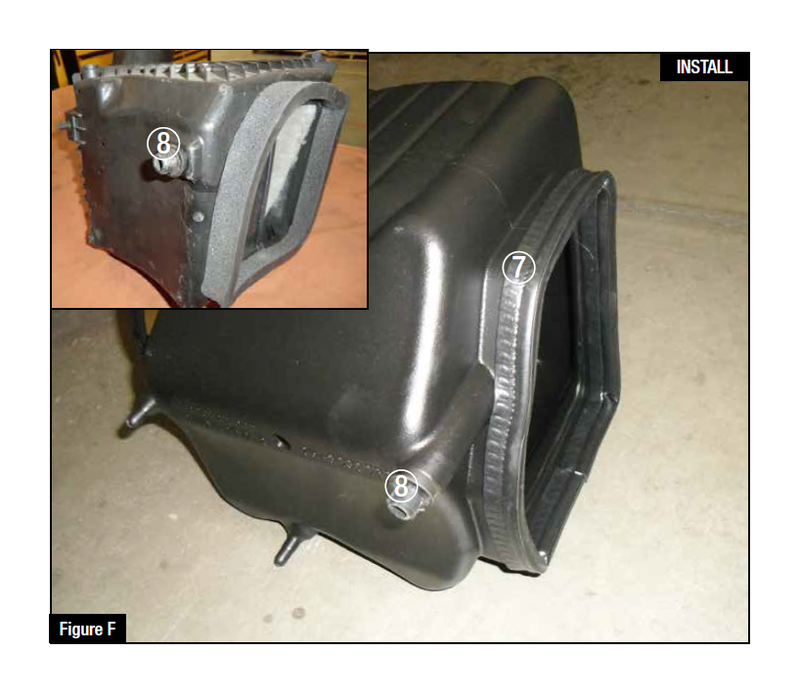 Step 10: Remove the retaining plug from the bottom of the factory airbox and transfer it to the aFe air box 8 . 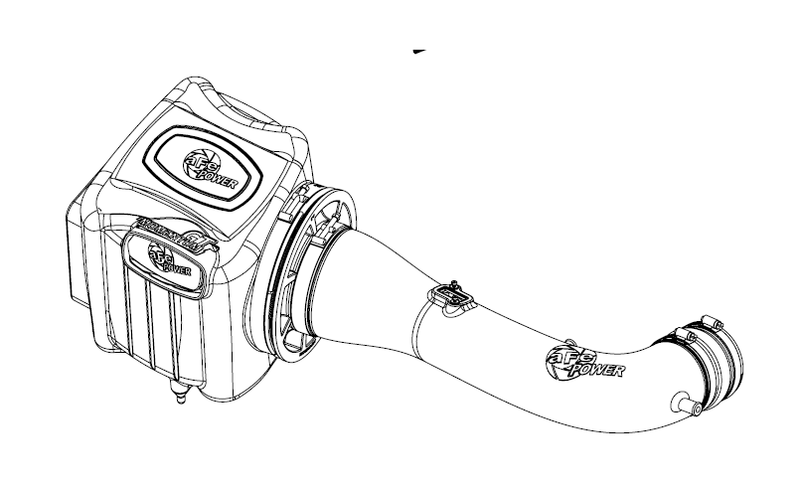 Step 12: Remove the mass air flow sensor from the factory airbox using a T15 Torx. 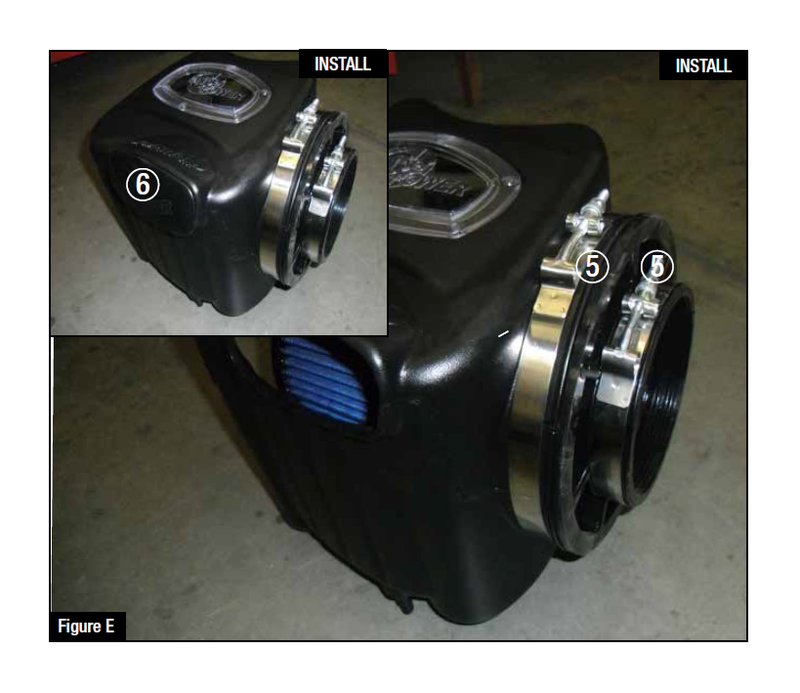 Step 13: Install the mass air flow sensor into the aFe intake tube using supplied M4 screws and factory O-Ring. 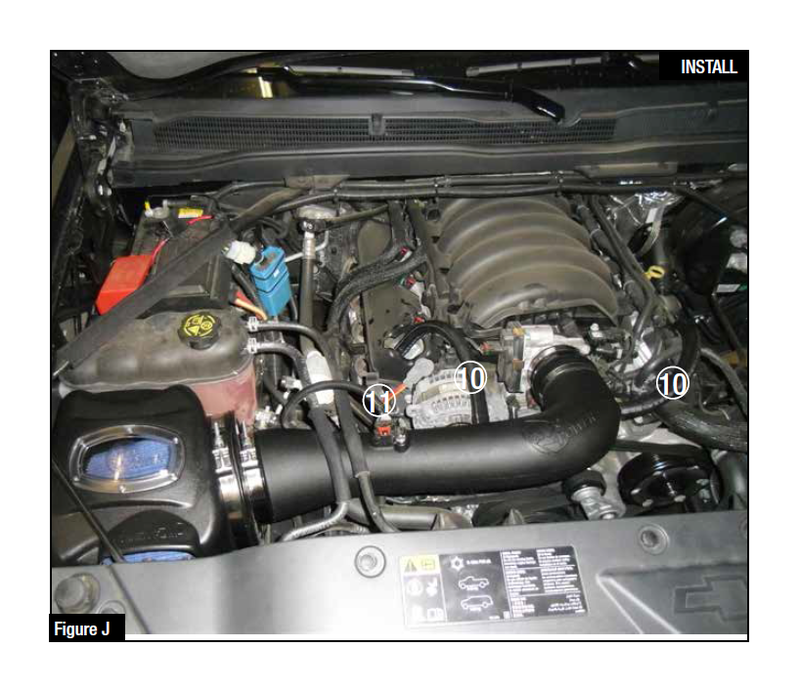 Step 14: For V8-5.3L, install furnished hump coupling and clamps on the aFe intake tube. 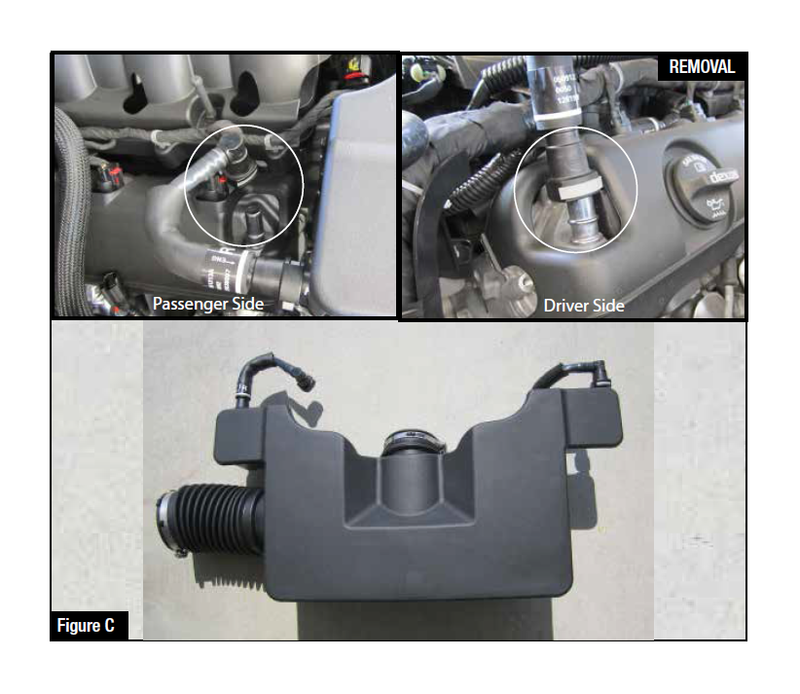 For V8-6.2L, install furnished reducer coupling and clamps on the aFe intake tube. Do not tighten clamps at this time. 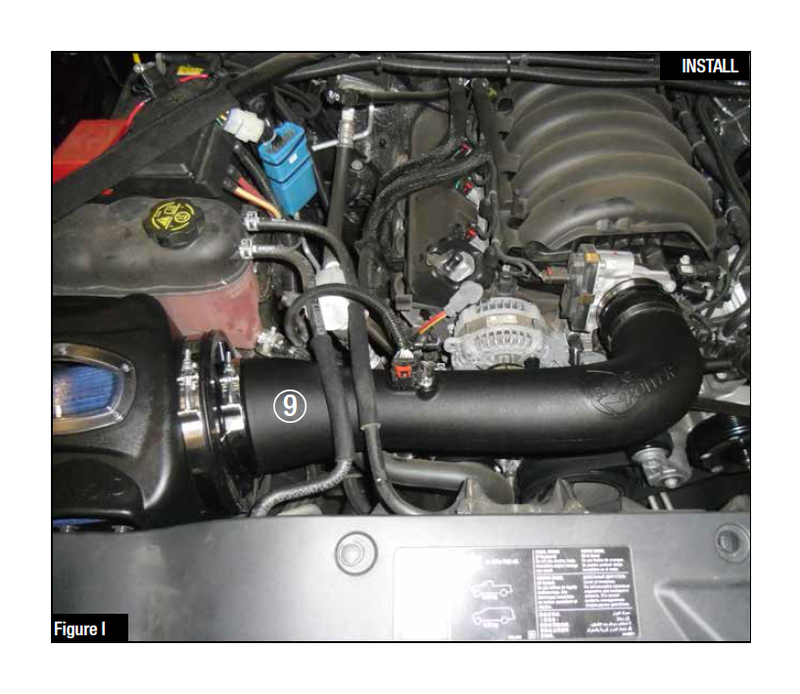 Step 15: Install the intake tube into the vehicle. Slide the tube in the filter, then the coupling on the throttle body 9 . Step 16: Align the tube correctly then tighten all clamps . 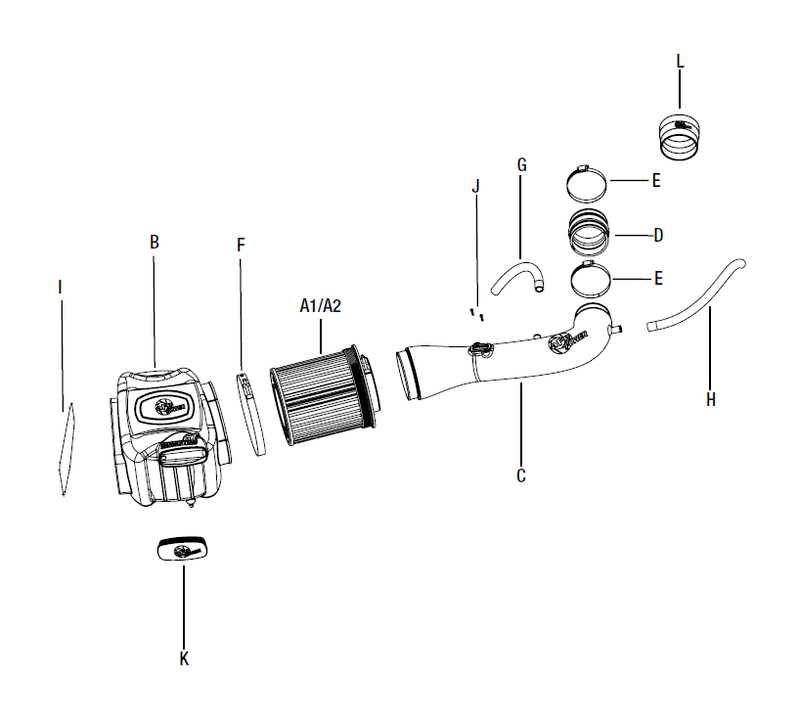 Step 18: Reconnect the mass air flow sensor harness 11 . Step 19: Make sure all clamps and connections are secured. Your installation is now complete! Thank you for choosing aFe Power.